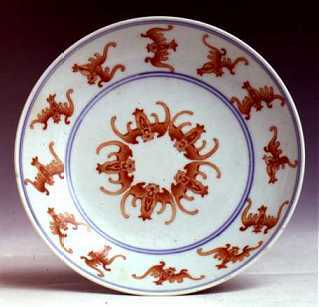 Wufu decoration is apparently used extensively by the Chinese in decoration of all sorts, especially porcelain. I would be most thankful if you could advise of a website or source that could provide some illustrative reference. Here are two pictures of the best example of "wufu" = five happinesses decoration I have come across. 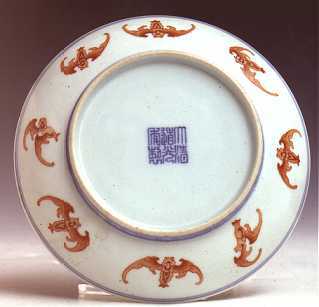 The dish is a Daoguang 1821 - 1850 Imperial mark and period dish.